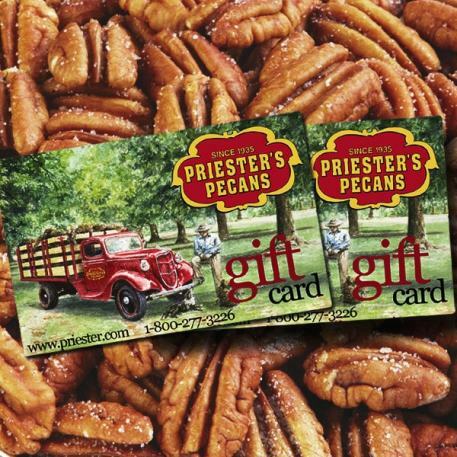 Priester's is now offering even more ways to give the gift of pecans with our gift cards. 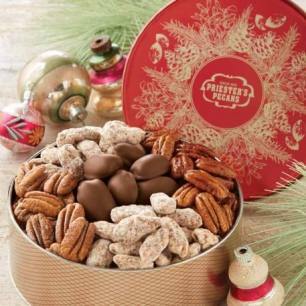 Perfect for friends and family with a particular taste, or for those people you just want to give a token of gratitude. A Priester's gift card will be sure to put a smile on their faces. Cards can be purchased online and by phone. They can be redeemed for purchases online and by phone. We look forward to serving you and hope you enjoy the convenience of our gift card. 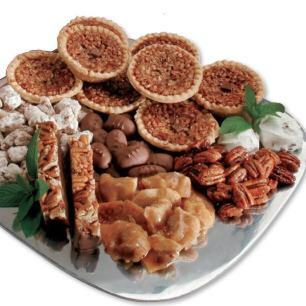 A gift card to Priester's is the perfect gift for nut lovers, especially with all the grest options! It's now a tradition of ours! Everyone enjoys Priester's gift cards. A common choice is your pecan pie.